Double sided mobile library unit with 2 shelves each side and an open lower shelf. This book trolley is easy to move as it has 4 swivel rubber tyre castors. 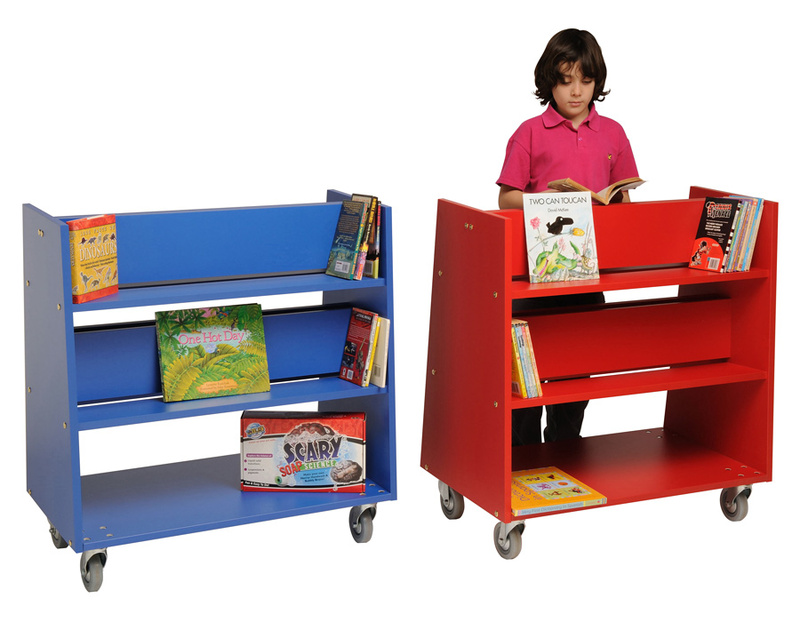 Made from 18/19mm high quality melamine-faced particleboard with PVC edges this library trolley is available in 12 vibrant colours. Great to use in schools and libraries. See our wide range of book trolleys and book storage. For more information please Contact Us or call us on 01733 511121.